INDUSTRY.co.id - Jakarta, DOJ is present in Indonesia with the concept of contemporary juice offering products made to order juice and smoothies from the best sources of fruits and vegetables. Carrying the tagline 100% juice no water and no sugar, all ingredients are specifically composed into a delicious and refreshing beverage product. A fresh fruit and vegetable display can be found in all DOJ juice bars, so consumers can see for themselves the process of making drinks directly. "Consumers can always enjoy fresh fruit at DOJ because we have a transparent culture, and customers can see firsthand the materials we process," said DOJ Founder and CEO Kenneth Sukmana. Alumni William Blue College of Hospitality Management, Sydney has a vision to balance the quality of life of the community. During his education and work in Australia, Kenneth was amazed by the way the locals always take time to consume good food and drinks amid the busyness. "DOJ provides an option for people to consume products that improve their quality of life," the man said. DOJ also voiced local product support discourse by initiating a collaborative project with CROWDE, a common investment platform for local farmers. DOJ participated in supporting CROWDE's vision to improve farmers' living standards throughout Indonesia by using fruits and vegetables from CROWDE farmers for DOJ products. DOJ also wants to introduce to its customers that many domestic products with excellent quality by creating unique menus using agricultural products from CROWDE farmers. DOJ has opened the second juice bar at Plaza Indonesia on March 8, 2018. 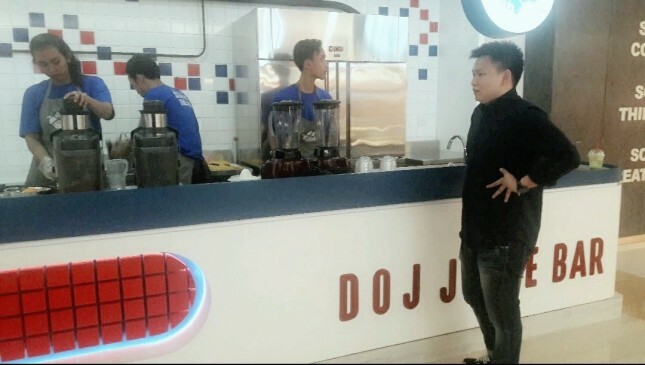 In accordance with its mission to become the largest juice bar in Indonesia, DOJ has a target to open 3-5 stores in Jakarta within the next one year and plan to expand to other cities across town Indonesia.